As seen in Business Solutions Magazine! 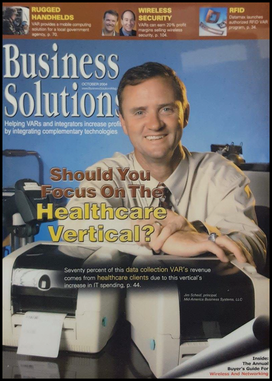 The Healthcare Bar Coding OpportunityThis VAR expects 15% revenue growth in 2009 from sales of stand-alone bar code printing solutions, printer supplies, and maintenance to hospitals. For its turnkey bar code printing and scanning solution, ​Mid-America Business Systems relies on TSC Auto ID Technology printers. The integrator partners with TSC for a variety of reasons, but a few are very important. First, Jim Scheid, partner of Mid-America, explains it took years to refine the Patient ID XPress printer software and firmware updates used today. During those years, the integrator received feedback from multiple customers on how to improve the product. With the help of TSC, Mid-America was able to make those improvements. Additionally, TSC’s range of printers allows the integrator to implement its software for a number of applications, such as bar code label printing and patient wristband printing. 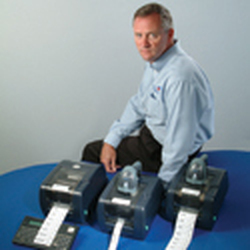 Mid-America often uses the TSC M23 portable direct thermal printer, the TTP-245 desktop bar code printer, and TTP-2410M bar code printer. “The range of TSC products allows us to create solutions for remote bedside printing to printing from carts to heavy duty printing from a workstation,” says Scheid. Finally, Mid-America has branded the TSC printers with Patient ID XPress, creating a one-of-a-kind product.